Early in the month, I took pictures and measurements of the Casa Grande Southern Pacific speeder shed. 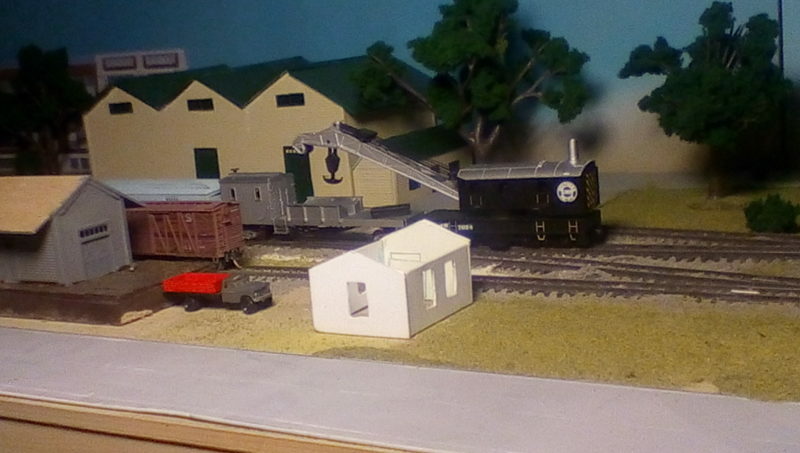 I had a fresh sheet of 0.040″ styrene, some leftovers of metal roofing from the D’Amato Lumber project, and a small piece of freight car siding. 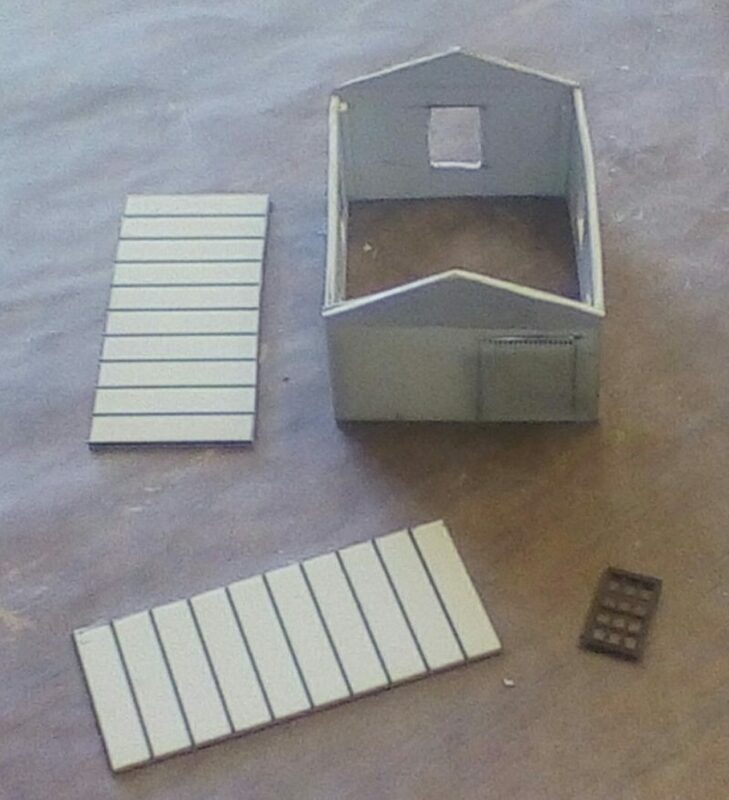 The three sides are plain styrene, the front is a combination of the freight car siding and plain styrene. 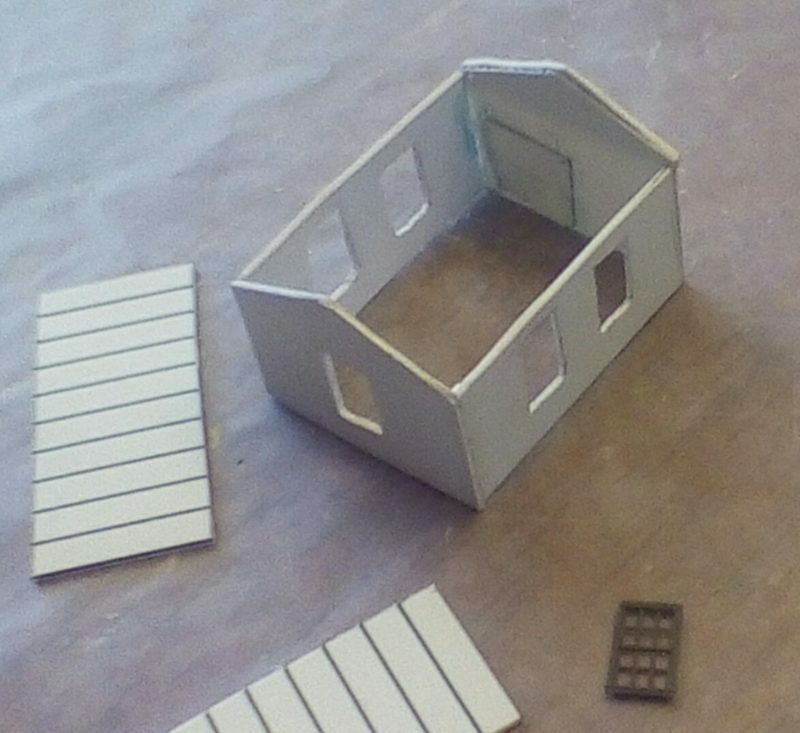 I am using five Grandt Line windows, and the door is made out of more freight car siding. 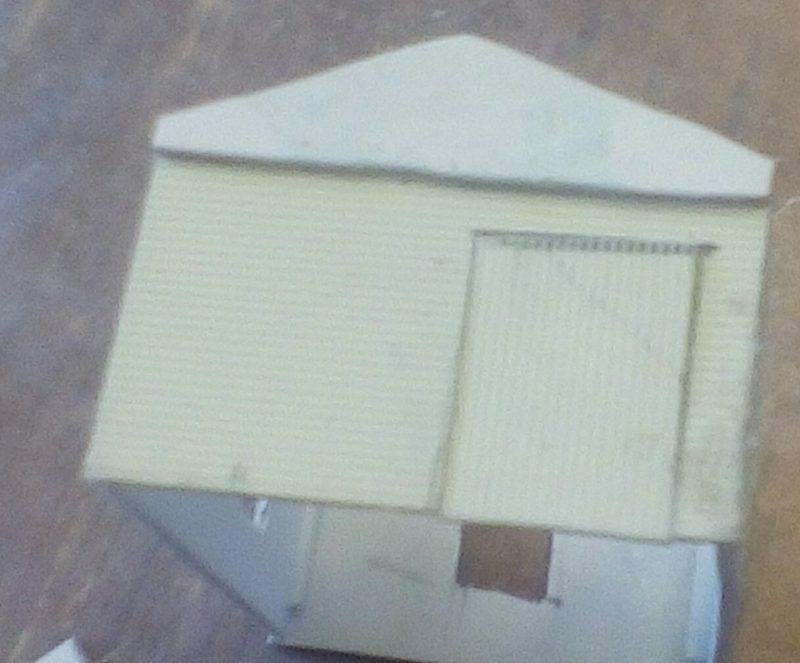 The siding is horizontal, and the door planks are vertical.